Protection and function take a turn for the better, with TurnFolio. 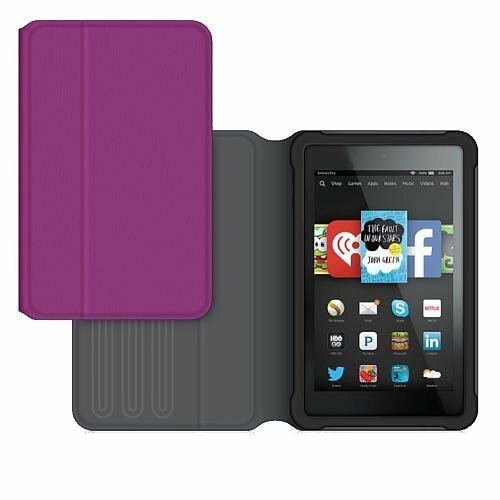 Inside TurnFolio's front and back covers, your Fire HD 6 fits into a full-body protective shell that rotates a full 360 degrees for use in landscape or portrait mode. The cover folds into a stand that's adjustable to just the right angle for tapping and viewing. The inner shell snaps out of the folio to continue the protection as a standalone, slim, shock-absorbing case that protects against drops up to 6 feet, and leaves the entire surface of your touchscreen accessible to your fingers from edge to edge. tThe entire surface of your touchscreen accessible to your fingers from edge to edge.